Not since the anti-war demonstrations of 2003, has Baghdad witnessed the presence of 50 internationals in the so-called “Red Zone”, without armed surveillance, standing in solidarity with Iraqi human rights and peace activists. Times have changed and today engagement and long-term collaboration with Iraqis, in Iraq, is possible. Central areas of Baghdad, like Karrada, are now quite safe and a vibrant local civil society is working every day on youth mobilization and advocacy with institutions, campaigning under the slogan “Another Iraq is possible”. Celebrating 10 years of solidarity with civil society activism, the Iraqi Civil Society Solidarity Initiative (ICSSI) held a four-day conference and strategic planning meeting from 31 January to 3 February 2019. 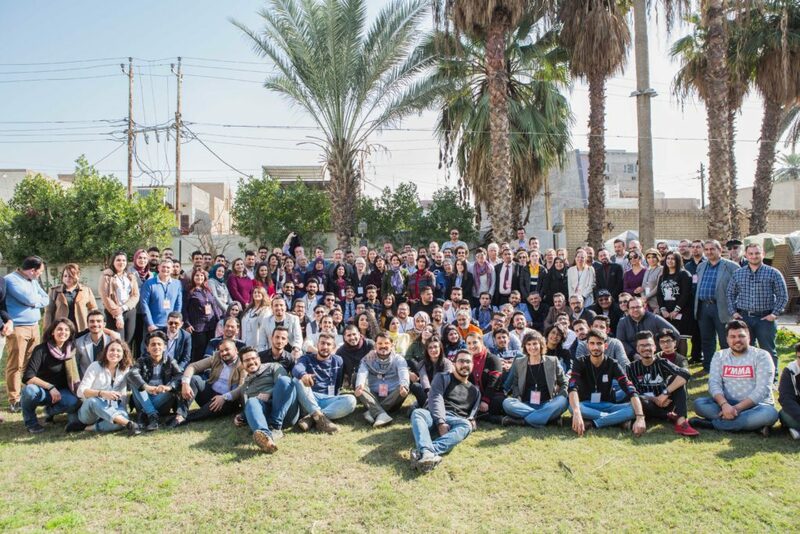 The ICSSI gathered more than 184 Iraqis and 41 internationals from 15 different countries for plenary and breakout sessions focused on critical challenges facing Iraqi society. This international coalition, born in Italy in 2009 through the initiative of international and Iraqi NGOs, social movements and workers’ unions, held its annual conference in Baghdad for the first time in its history. Building on extensive connections with Iraqi civil society, the conference highlighted the important progress made by Iraqi activists in core thematic areas, or “paths” (masarat,in Arabic). Activists working on these masarat– including water and the environment; women’s participation and leadership; sports and arts against violence; social and economic rights, and workers’ rights, among many others – presented the achievements and challenges they face in their respective work. In all these efforts, the tremendous activism of young women and men is one of Iraq’s greatest strengths. Conference participants emphasized the common difficulties Iraqi activists face. Protest movements in Basra and Sulaymaniyah regularly encounter repression and violence at the hands of armed groups backed by some political parties. Across the country, many human rights defenders are endangered and ask the international community to stand by them. Workers’ also ask for solidarity in defense of their freedom of association and right to strike. Recently, the unions of the car industry encountered harsh opposition when they protested salary reductions. One of the most pressing problems Iraq faces is a water and environmental crisis. Pollution from oil companies in the South of the country, drought and global warming, and the construction of huge dams by Turkey and Iran have had devastating impacts on Iraq’s water resources. The poor water management policies of the Iraqi government and its failure to negotiate a regional water strategy have exacerbated the crisis and increased the suffering of the Iraqi people. These issues will be discussed in a thematic Social Forum on Water in Sulaymaniya in April 2019. Iraq’s education system is a new focus of ICSSI activists. Independent surveys of youth reveal that 40% of students leave school with only an elementary education. One reason is poverty that leads to children leaving school to work and provide for their families. Attendees questioned the widespread privatization of Iraq’s schools and universities. They also emphasized how such critical challenges are interlinked: ensuring children stay in school requires changes to and enforcement of Iraq’s labour laws to end child labour and empower Iraqi unions to defend the rights of all workers. Peacebuilding and social cohesion are another crucial civil society focus promoted through grassroots dialogue and reconciliation initiatives, training of young peaceworkers, and using arts and sports to create occasions for different communities to meet. Councils for social cohesion are now active in four governorates. They are pilot project to promote space for members of civil society to dialogue with local authorities about human rights and community-level reconciliation. Activists announced a plan to organize a thematic social forum on Peace in Mosul, in the spring of 2019, where discussion will include the discrimination experienced by families accused of affiliation with Daesh. Often these are women and children who never supported Daesh and its ideology, and who are suffering tremendously because they are barred from returning to their former communities. Activists said: “Having one family member in Daesh doesn’t make you Daesh!”. The Iraqi Social Forum (ISF), which brings together most of these civil society initiatives under its masarat,emphasized how activism is continuously evolving in Iraq. Opportunities are expanding as the government increasingly accepts an active role for civil society. Local social forums have been newly established in 13 places such as Tikrit, Fallujah, Ramadi, Hit, Najaf, Maysan, Babel, and Diyala. These local forums focus on local needs and conditions outside Baghdad. Since 2013, they have met together annually in Baghdad. The Kurdistan Social Forum (KSF), which was launched in Erbil in 2017, convened its second meeting in Sulaymaniyah in 2018. It has been intensely engaged in campaigns for Freedom of Expression and the Protection of Minorities. These issues are particularly critical in the Kurdistan region, where journalists and protesters are frequently denied their rights and face repression. The KSF is also reaching out to civil society organizations and activists in areas of Ninewa recently liberated from Daesh, like Sinjar, where destruction was massive and human suffering is still immense. In the strategic planning sessions that concluded the four-day meeting, Iraqi activists developed goals for the next four years, while internationals planned solidarity efforts to support and strengthen the Iraqis’ activities. An immediate demonstration of the potential for solidarity occurred the day after the ICSSI conference when the new Iraqi Minister of Culture met with Iraqi CSOs, archeologists, and Internationals to discuss the Urim Initiative for the protection of Iraqi cultural heritage. As a first activity, the Minister and ICSSI partner organizations will sign an agreement to develop a sustainable management plan for the archaeological site of Ur, a World Heritage site. The ICSSI looks forward to the years ahead, with confidence that Iraqi civil society activists, especially the youth, will build on their many achievements. The partnership the ICSSI has forged between Iraqi and international activists proves the power of solidarity in action and how together we can move from protests to constructive programs of social and political change. 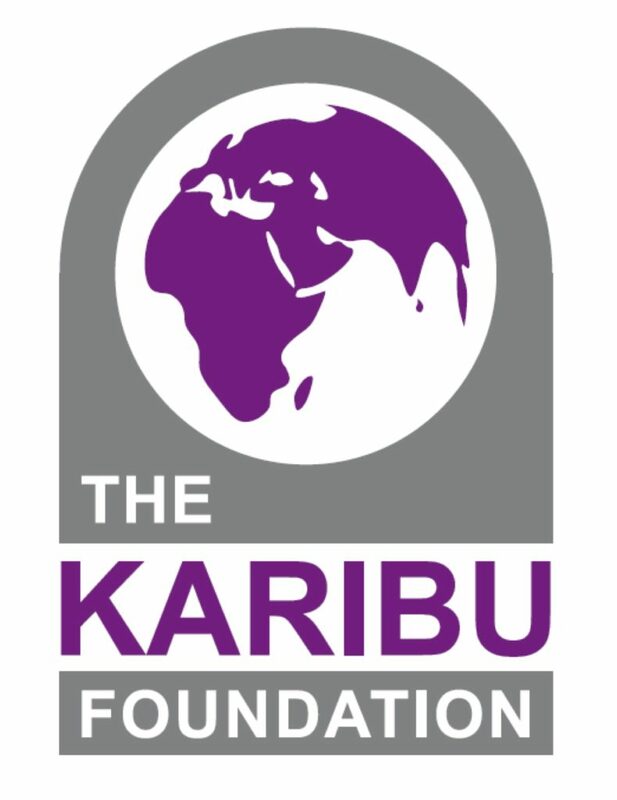 ICSSI is supported by Un Ponte Per… through projects funded by The European Union, Fondation Assistance Internationale, Karibu Foundation, CCFD – Terre Solidaire.